Contrary to popular opinion, Twinkies don't last forever. But when they return to store shelves Monday they'll last a whole lot longer than they once did. Good news for Twinkies hoarders. Not only are Twinkies coming back to store shelves on Monday, but once there they'll have almost twice the shelf life the old Twinkies did. 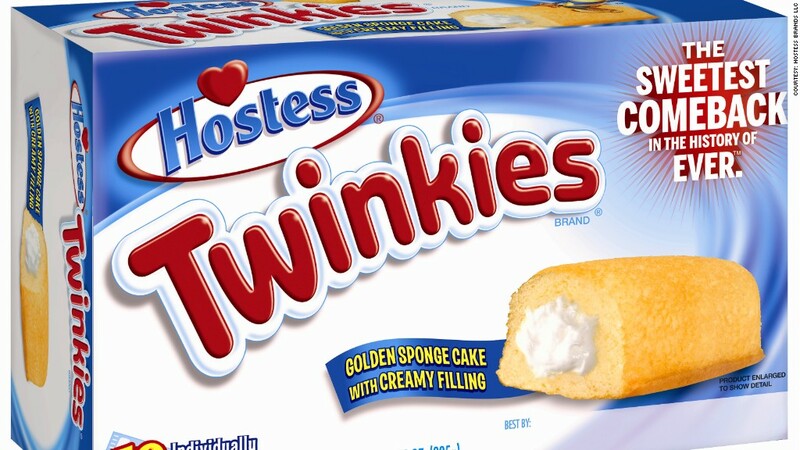 The new Hostess Brands, which bought the rights and recipe to make Twinkies and other Hostess snacks out of bankruptcy court earlier this year, says that when Twinkies return they'll have a 45-day shelf life. That's significantly longer than the 26-day shelf life they previously had. A long shelf life for the cream-filled sponge cake is part of the mythology of the iconic snack food. A 2012 Super Bowl ad for Chevy pick-up trucks made fun of predictions of the end of the world later that year, suggesting only Chevy trucks and Twinkies would survive the looming apocalypse. Some Twinkies will have an even longer lifespan than 45 days. Hostess said it will start freezing about 10% of its shipments to retailers. However, shoppers won't be able to buy frozen Twinkies. Instead, retailers will store the frozen cakes then thaw them out for sale, stamping their own expiration date on the package. Hostess spokeswoman Hannah Arnold said that only retailers who ask for frozen shipments will get them, that the rest will get the traditional "fresh" product. She said the freezing process will not affect the taste of the Twinkies. The new Twinkies will also be found in significantly more stores. They were in about 50,000 stores nationwide when the company shutdown, but the target is now to reach 110,000 locations by the end of this year. The former Hostess Brands shut operations and liquidated its various holdings after a strike by the bakers' union in November last year. The shutdown started a run on Twinkies and other products by its fans. The longer shelf-life isn't strictly new -- the former Hostess Brands changed the recipe to extend the shelf-life on Nov. 1 last year. But those products were made for little more than a week before the company ceased operations. Hostess won't disclose the change in the recipe that allows it to extend the shelf life. Other products that were made by Hostess before the shutdown, including Wonder Bread, Drake's snacks and other brands of bread, were purchased by other bidders during the auction overseen by the bankruptcy court. The details of when those products will return to shelves are not yet available. The new Hostess, which is owned by a joint venture between Apollo Global Management (APO) and C. Dean Metropoulos & Co., was purchased for $410 million in March.